When Kurt Cobain wrote “Smells Like Teen Spirit,” he openly borrowed a musical device from the Pixies’ toolkit—namely, a subdued verse giving way to a crunchy chorus. That song, of course, became a mega-hit, and the sudden, dramatic shift from soft to heavy (and vice-versa) became a mainstay of alternative rock. 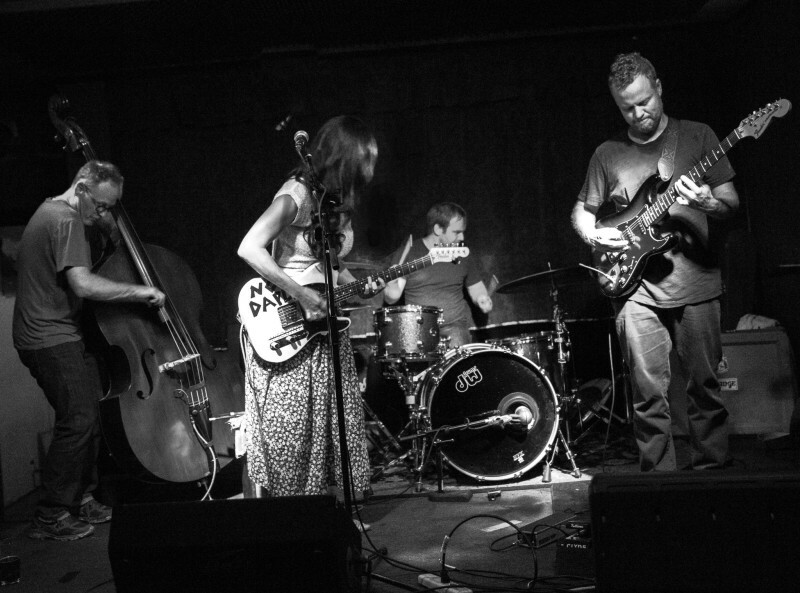 This dance between quiet and loud is a key part of the indie rock quartet See Night’s sound, which has drawn comparisons to the likes of Cat Power, Mazzy Star and Arcade Fire. 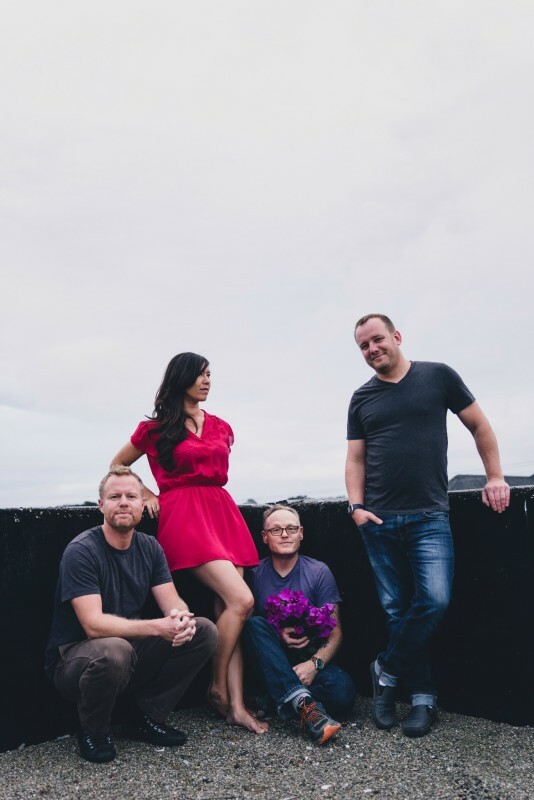 It also features heavily in the day-to-day life of vocalist/guitarist Linda Sao, who is joined in See Night by guitarist Patrick Andrews, drummer Cory Aboud and new bassist Jeff Kissell. A former Santa Cruzan who moved to San Francisco in 2011 to pursue music seriously, Sao works for a landscaping company and volunteers weekly at a couple of Bay Area organic farms. As such, she spends most of her offstage time farming and gardening in silence. The very name See Night holds an intimate meaning for Sao: It’s an allusion to the Sea Knight, the type of helicopter that her father flew in the Vietnam War. “I liked that it had a depth to it that was personal, but that no one else knew about,” she reveals. Until the start of 2017, the band’s moniker had the same spelling as its namesake. However, Sao, whose mother was a refugee who fled Vietnam on a boat, eventually decided she didn’t want her band to be named after an instrument of war. At the same time that she made the choice to change the spelling, the military retired the use of the Sea Knight, its longest-running helicopter at the time. Along with better reflecting the group’s shoegaze/dream pop/post-rock-influenced sound, the new spelling of the band name connects to one of Sao’s pet obsessions. “Close friends know that I’m kind of witchy in my fanatical following of the moon phases, so it all just felt like, ‘Okay, this makes sense,’” she reasons. If songs are magical incantations, then the title track from See Night’s newly released second EP, You Are Us, is a love spell of sorts. Spanning little more than two minutes, it kicks off the EP with a little quiet/loud/quiet fanfare. Sao’s vocal line consists solely of the song’s title chanted twice. Minimalistic as these lyrics might be, they certainly make a strong impression. This includes former bandmate Sami Hiromi, who played bass and violin in Sea Knight from 2013 to the summer of 2017. Her time in the band ended soon after the completion of You Are Us. “Even though Sami isn’t in the band right now, she is still a part of us,” Sao states. To hear See Night’s music and learn more about the band, visit seenightmusic.com and facebook.com/seenightmusic. See them live at The Crepe Place on Friday, Feb. 2. This entry was posted in Featured, Local Loop, Music, Opinion, Spotlight. Bookmark the permalink.